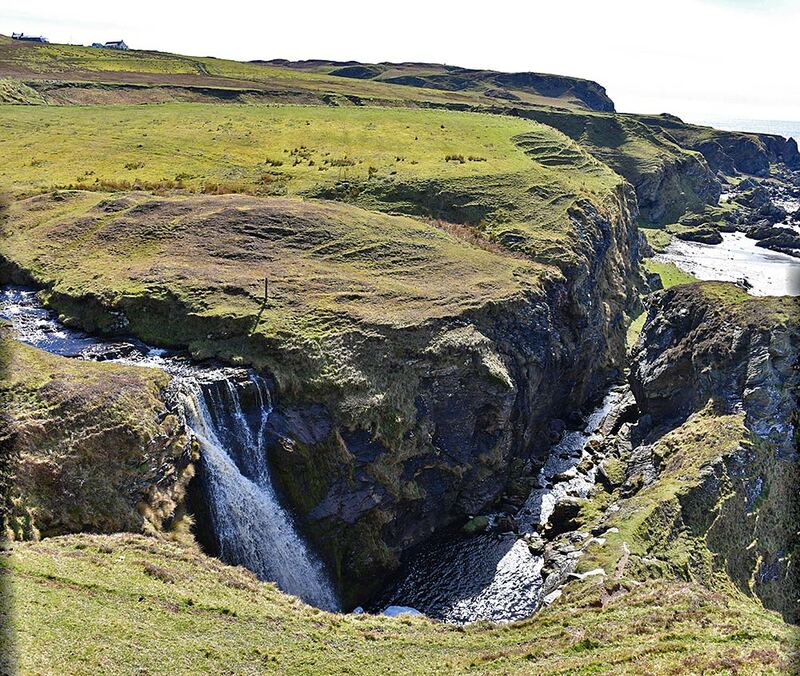 Eas Mòr waterfall below Lower Killeyan plunging into the short but deep gorge before running over the beach and into the sea. One of the most impressive waterfalls on Islay, especially when in full flow, yet also quite well hidden. Because of the ‘wall’ in front of it it’s pretty much invisible from the sea, you can only see it from above.